Hats off to you if you are thinking of starting a pressure washing business. There is nothing better than starting your own business when it comes to working. Anyway, there are plenty of benefits when you start your own business like freedom, full control of your time, maximizing your income, and lots of other things. However, it all comes with a cost, and that cost is, of course, hard work. Usually, people think that starting a business is easy and that you can do it quickly. But, in reality, you need lots of different things and you need to put maximum effort into it. The same goes for the pressure washing business. There are lots of things that you need to take into consideration in order to start a pressure washing business. Namely, let’s see everything that you need to do so that you can start and run a profitable pressure washing business. Also, I am going to share how to make money pressure washing. Let’s begin with an infographic. First of all, you don’t need a lot of money to start this kind of business. All you need is a strong will, some money to invest in machines, and someone to show you how to start a pressure washing business. Luckily, we are here to help you and to show you exactly how to do it. Let’s see some of the best pressure washing business ideas. These few steps are crucial in pressure washing business. So, make sure to do them properly and in the given order. That way, your pressure washer business income will be higher and you will get the most out of it. First and possibly the most important thing to know when starting a pressure washing business is that you actually need a proper knowledge and skills to handle the pressure washer. You can’t just buy a powerful pressure washer and spray other people driveways or sidings, it is actually way more than that. Simply speaking, you need to learn a lot about these machines and everything that goes with pressure washers. For example, you need to know exactly how to clean a surface without damaging it in the first place. Also, there will always be some ‘’hard-to-reach’’ areas and difficult spots to clean, and you will need to know how to clean those areas properly. In that light, it is highly recommendable to borrow a pressure washer from a friend or to rent one out. Next, you should really get into it and learn every possible move and everything that goes with it. That way, you will actually have a proper knowledge of how to clean with a pressure washer since you already have some experience. Also, you can work for someone else for starters and learn how to handle pressure washer machines there. And later, when you accumulate a proper amount of experience, you can start your own pressure washing business. 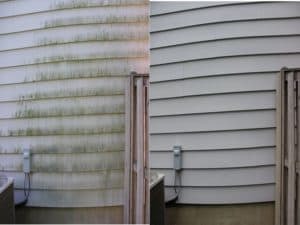 Pressure washing Machines – Without pressure washing machines you actually can’t run this type of business. So, it is quite important to get the best ones on the market. Now, there are lots of different types and models of pressure washers, but, you need to find something that is reasonably good and of the modest-quality. On the other hand, you can always ask for an expert opinion and let some professionals help you with the choice of pressure washer machines. A transportation vehicle – The best transportation vehicle for this kind of business is a van or a truck. With both of these, you will be able to safely and easily transport pressure washer machines on the correct destination and do the job properly. Uniforms – Uniforms are the best way of showing that you actually care about your business and that you will give your best effort to get the job done. After all, uniforms will make you look like professional pressure washer cleaner, and that is something that you really want. Decals – Usually, decals are located on the side of your van or truck and they will once again present you in the light of a professional. This will be a good thing for pressure washing advertising. Besides these things, there are some other less important things that you can actually get in order to start your pressure washing business. Also, if you have something that might help in the long run, you should get it. Now, here comes a little bit harder step to accomplish. Namely, you will need to get the proper insurance, licenses, and permits as well. So, how can u do this? Well, every city has its own regulations and rules on opening new businesses. In that light, you need to contact your local licensing office and gather all the information that you can about opening a new business. First all, you should get a nice and authentic name for your business, and also, get a matching domain name. This will now be your web address which will allow people to contact you online if they like it that way. Make sure to get an original name that people will easily remember. In order to work as a legit washing business, you will need a legal business license. So you need to contact the authorities in your local place and ask them for information about opening a new business. They will then have a few requirements that you need to fulfill and you will have your business license in no time. As you already know, you need to register your business in order to pay taxes. Now, paying taxes is not an obligatory thing, actually is quite important if you don’t want to get shut down. Also, it is quite important to get to know everything about taxes and since you will have to pay for a business as well. The last thing about setting the stage for your pressure washing business is getting insurance. Now, there are lots of good deals that you can get from insurance companies but makes sure to read the terms and conditions first. This insurance will protect you and your property against any damages when you are working. Also, it is quite good to know that someone has your back. Now, for our next step, you will need to make an online web page and expand your business online. This will allow you to position your business better in the field of customers and actually advertise much more. 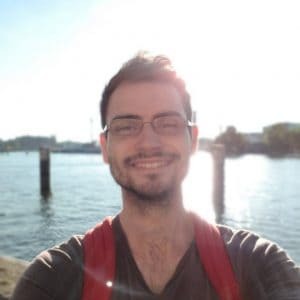 Usually, you can hire someone who knows how to make an online web page and everything that goes with it, or you can do it yourself. But, if you don’t have proper knowledge, it is recommended to hire someone who knows exactly how to do it. Anyhow, with your own web page about your business, your pressure washing business will definitely grow and expand every day. We all know that people use the internet mostly for anything nowadays. The last step is to show what you actually got. In this step, you will definitely learn how to make money pressure washing for other people. Now, it is quite important to be polite and nice to your customers. Also, you need to meet the standards that they want and therefore, you need to be ready to do the most demanding jobs. Anyhow, you really need to step up when you get your first call and show to people what is your business actually about. Make others believe in you and your business and you will be on the right track. All in all, this is everything you need to know about starting a pressure washing business. 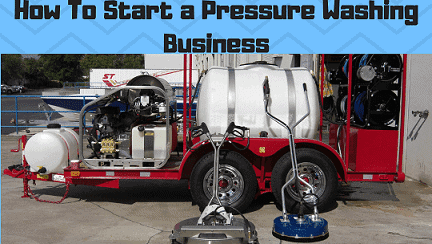 With this pressure washer business starter kit, you will be able to easily grow into a huge company with lots of money and high profit. As we all know, lots of people actually ask is power washing a good business, but the answer is clear if you have everything in front of yourself. All you need to do is to follow these instructions and roll up your sleeves and everything will be just fine. We certainly hope that this article helped you to open a pressure washing business and that you are running perfectly now.